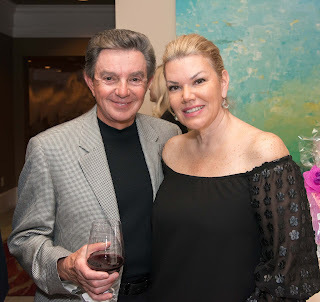 The Friends of Hope Committee hosted An Evening in Old Havana dinner at the Bonita Bay Club, raising more than $58,000 for Joanne’s House at Hope Hospice in Bonita Springs. 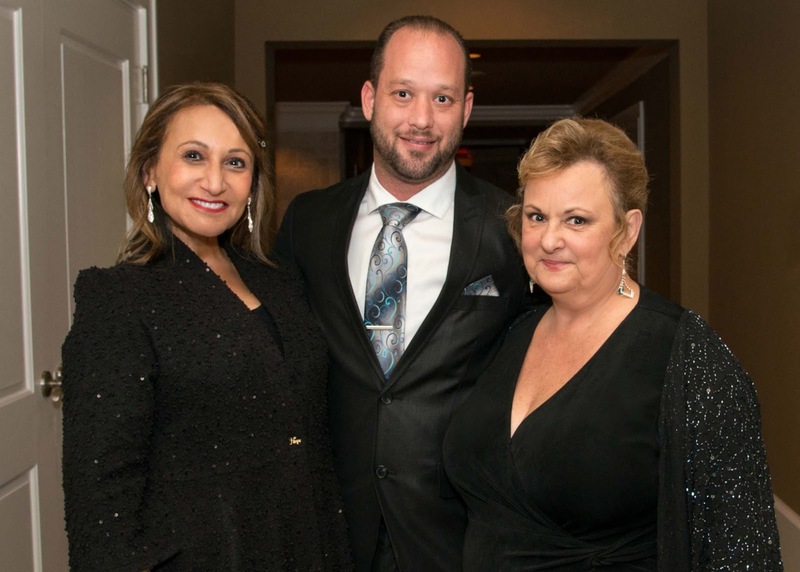 Led by chairs Etta Smith, Mary Kozlowski and Joyce Kozlowski, the event hosted more than 100 guests who enjoyed ballroom salsa dancers, a cigar roller and a live auction featuring a trip to Havana. The event reunited many of the founding donors and supporters who championed Joanne’s House and helped Hope break ground on the site 11 years ago. The tiny Hospice House kitchen was a hop away from the dining room table that I sat at to make my shell butterflies for the phone magnets. I’d usually greet a visitor after they poured themselves a cup of coffee or grabbed a cookie from the counter. I’d explain, “I make these butterflies from sea shells,” and they’d join me at the table out of curiosity. During the explanation, I’d include that the butterfly was the symbol of Hope Hospice, signifying the freedom to enter a new life. One day a tall young man filled his cup with coffee and asked what I was doing. I showed him the card and explained the attached shell butterfly. I thought I’d better get cracking if I needed nine more of these. 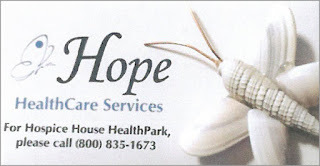 I had to slow myself down because I felt I was getting sloppy, and I didn’t want that to be Hope Hospice’s image. It seemed as soon as I had one made, someone appeared at the table to talk and to receive the newly completed “fly” – I didn’t feel I could ignore anyone, so I continued to hand out the “flies.” It took about an hour and a half to complete all nine. It’s funny, I’m used to working alone in a silent room – never even putting on the radio. I find that disturbs my work. But at Hope Hospice, I enjoy the conversing as much as the crafting. A lot of it is really listening and inserting an appropriate comment or question on my part. 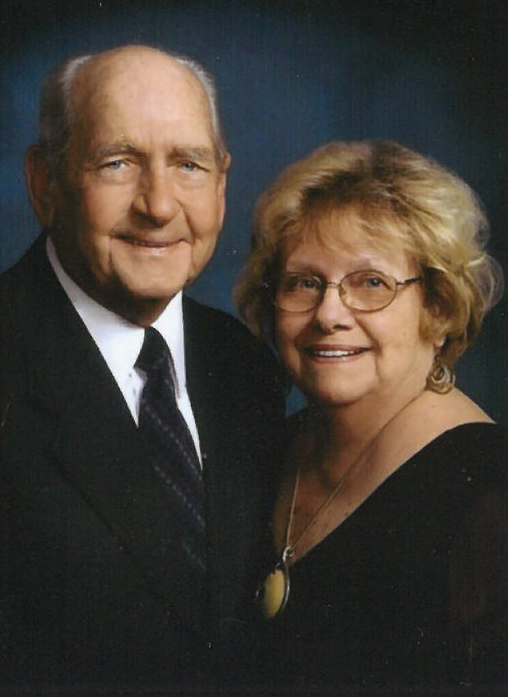 In Memorium: Sherry Myatt (pictured here with her husband Jack) created these beautiful business card size magnets at Hope Hospice House HealthPark for many years. 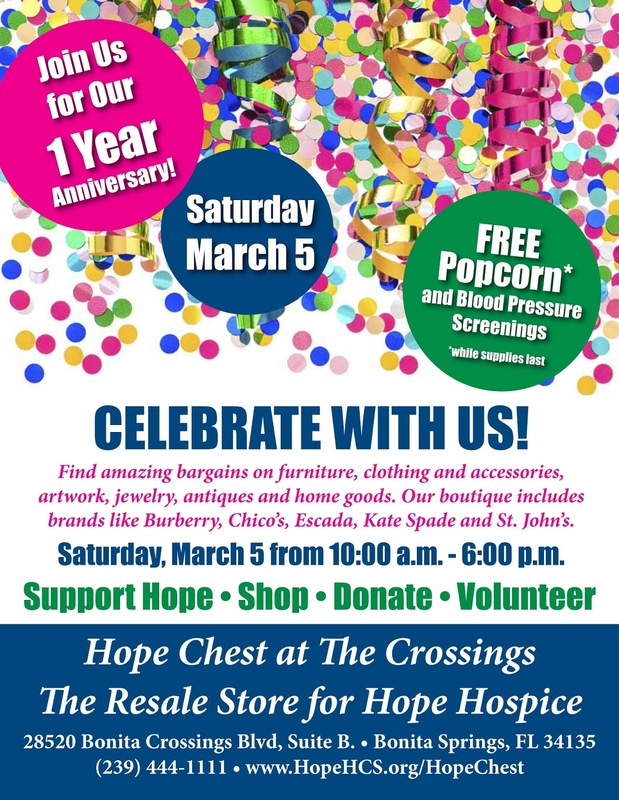 She volunteered at the Ding Darling preserve and the Chamber of Commerce as well as Hope Hospice. We are grateful to her for sharing her many talents, and she will truly be missed.